Real Psychiatry: Biomedical or Biopsychosocial or Psychopharmacologist? Biomedical or Biopsychosocial or Psychopharmacologist? Apparently these are desperate times for some professionals. So desperate that they have nothing better to do than argue about proven psychiatric methods that include the clinical methods that includes data gathering and diagnosis. Some would prefer to move psychiatry away from the rest of medicine based on fallacious arguments that there are no clear connections between biology and clinical phenomenon and no apparent connection between psychiatry and the rest of medicine. These arguments are so extreme that they lack clinical utility and yet there is a small by vocal group of people who try to gain political favor with what is essential reworked antipsychiatry rhetoric. As a reminder I use that term as a philosophical definition that has been used to characterize the work of Szasz and Foucault. It is agnostic in terms of the proponents. In other words, as far as I can tell you don't need to be a cult member to be a proponent of antipsychiatry. You can be a psychiatrist like Szasz. I posted a good example of this position a few years ago. In the post I looked at a special interest group using medical model pejoratively and applying it to psychiatry. I illustrated how the authors account of medical model on 2 1/2 of 3 dimensions that they were using as a basis for their argument. The eventually develop a trauma based model of psychosis and state that is all that you need to know in terms of etiology and treatment. That is their refutation of the comprehensive psychiatric model for information gathering and analysis. Another incredible critique of the field came from the journal Health Affairs and it suggested (like most critiques of the field) that the authors really had no knowledge of psychiatry or what psychiatrists do. Specifically they seemed to have no knowledge of the biopsychosocial model of psychiatry, specific psychiatric research in that field, and how all of that information is used in day to day psychiatric practice. The obvious point that I am making here is that psychiatrists are trained and interested in multiple factors that may be important in both the etiology and treatment of psychiatric disorders. That includes many biological factors like toxin exposure, endocrine conditions, infectious diseases, and brain injuries as well as more subtle biologically determined factors like temperament and developmental history. It includes the status of interpersonal relationships and psychological factors. It includes the status of other organ systems in the body and chronic medical conditions. There are specific posts on this blog about cardiac status, sleep apnea, cirrhosis and liver disease and pancreatitis. All of these illnesses and more are encountered in routine psychiatric practice. Psychiatrists must in some cases make the diagnosis and in other case modify therapy to account for these illnesses and not provide treatment that is contraindicated. The patient is a 48 year old married woman with a history of insomnia and depression dating back to middle school. She also had nightmares and night terrors during childhood but they resolved by the time she was in her late teens. Her current sleep problem is initial and intermittent insomnia. She has been on various antidepressant medications about 90% of the time since she was 18 years old and has not found any of them to be very effective, but she does think that she gets some partial relief from fluoxetine. She has been married for 18 years. Her husband is supportive and they have a solid relationship. The couple has 3 sons who are 10, 12, and 17 years old. she had no episodes of postpartum depression. She took fluoxetine during the last pregnancy. There is a family history of depression in her mother and maternal grandmother. Her maternal grandmother was institutionalized and received electroconvulsive therapy. Father and paternal grandfather had alcohol use problems. She is an electrical engineer and works in the tech industry in chip design. She was previously active in a group that encouraged girls and young women to focus on STEM subjects in school and as a career choice but she has fallen away from that lately. Over the past three years her alcohol consumption has increased from 2-3 standard drinks per day to 8-10 drinks per day. When she is drinking on daily basis her mood is significantly more depressed. During a recent episode of intoxication she sustained an intracerebral hemorrhage that was noted on an MRI scan of the brain in the left frontal cortex. She reports no cognitive or personality changes with that lesion but has had frequent headaches. She denies any history of abuse or psychological trauma, but said that her parents spent less time with her than her older brothers and that left her with a feeling of being less valued at times and questioning her self worth. She identifies strongly with her father who was also an engineer and encouraged her interest in math and science. 3. Intracerebral hemorrhage - assessed and treated by Neurosurgery trauma service. Serial scans show resolution with no evident abnormality. 4. Headaches secondary to 3. A typical medical surgical evaluation using the same general outline will not put all of the data together to explain the patients psychiatric diagnoses or symptomatology. Medical or surgical evaluations typically end with a list of diagnoses that typically focus on an organ system or the brain idendependent of any psychiatric factors. The diagnostic formulation is a psychiatric innovation that has utility as a way to study diverse etiologies of mental illnesses and in this case to try to understand the unique biological, social, and psychological variables for each person who is being treated. It is in contrast to the diagnoses which are supposed to be atheoretical (but are not really) in the DSM. The formulation allows us to develop unique theories about what might be contributing to the person's distress. I have been a longstanding critic of the lack of a psychiatric focus on the conscious state. Only recently did I have the thought that this biopsychosocial (BPS) formulation is an approach to the study of a unique conscious state. The broadest definition of consciousness is experience. If you develop a good technique and confirm the observations and theory about how all of the dimensions impact on them - it is basically a study of a unique conscious state. An elaboration of the elements contained in either outline - would lead to a discussion of the person's experience of any number of life events including growing up in her family of origin, going to school, working, her leisure time experience, and her experiences as a wife and mother. That is probably a very liberal interpretation of the BPS model. Interested readers can find original papers written by George Engel in the references below. The BPS model generally looks at multiple systems relevant to biological organisms and the philosophy of general systems theory. The reader can get a good overview of Engel's theory by looking at the articles and the accompanying diagrams. Ghaemi has written an excellent book on BPS (6), it shortcomings and what he considers a more appropriate model for psychiatry - method-based psychiatry. In his book he goes so far to outline how it can be taught to residents. The problem with all of the terminology is that I know very few psychiatrists who practice or prefer to practice in a restricted biomedical mode. A few examples that come to mind were some of the psychoanalysts who were my teachers 35 years ago who "prescribed a little amitriptyline for sleep." I suppose there may be some psychiatrists out there prescribing fluoxetine and not attending to their patients medical disorders - but happy to report that I don't know any. That brings me back to the central point of this post. Do you really need to distinguish yourself as a biomedical or biopsychosocial psychiatrist if every other psychiatrist is doing what you do? Do you need to call yourself a psychopharmacologist? Do you need to call yourself a medical psychiatrist? I would say that you do not. Psychiatric training exposes trainees to the same content and clinical contexts where they an observe and treat severe problems. In many of those situations they are responsible for the total medical care of the patient. They accumulate medical knowledge on a consistent basis as they accumulate knowledge about diagnosis and treating medical conditions. It is an inescapable part of the practice of medicine. Where do all of these titles come from? I see a couple of origins. The first is political and that is people who are using the terms in a pejorative way. There are apparently psychiatrists in the UK who use the term biomedical psychiatrist in a pejorative way because they don't believe in any diagnosis or they adhere to the old Szaszian concept of disease and do not want to see psychiatry practiced as a medical specialty. Many would go as far as not using diagnoses at all. They often equate diagnosis with the pejorative term labeling. When I think about that movement and its origins and how psychiatry got to where it currently is today - I ask myself about the development of both paths of thought. Without going into too much detail - there are no geniuses on the antipsychiatry path. Many of the early proponents on that path failed because they really had nothing to offer people with serious mental illnesses. If anyone wants to refer to me as a biomedical psychiatrist - I embrace it because it certainly does not deter me from doing thorough psychiatric assessment that includes a formulation that contains social, cultural, and biological factors unique to the person I have assessed and trying to appreciate their conscious experience in each one of those domains. The second application of the various descriptors is to differentiate oneself from the rest of the pack. That also seems to be a dubious distinction. The best example I can think of is psychopharmacologist. If I have studied the subject, attended the seminars and courses, but spent most of my career discontinuing medications and treating complications in polypharmacy situations - am I psychopharmacologist? Or do I need to be the person prescribing all of the polypharmacy? As far as I can tell - all psychiatrists are (or should be) psychopharmacologists. They should also be aware of the limitation and be able to practice specificity in the prescription of psychiatric medications. Psychiatrists are psychiatrists. They are the same, but different like any other discipline. Apart from what they know or should know their conscious state is certainly a factor in how they practice and there are always potential differences in skill levels. I continue to be impressed by the high level of skill of my colleagues and think that we can all be psychiatrists and be confident that we don't have to be defined by anyone else. Anyone who suggests that they have a better approach or that they can treat patients without a diagnosis should be confident enough to proceed and compete directly. That said we do need to refine the technical skills in the field. A primary consideration is realizing that we have come as far as we can go with the DSM approach. Ghaemi's suggested methods based approach presents some good ideas on a philosophical basis - but the personalized medicine and omics approaches also hold a lot of promise. 1: Engel G. The need for a new medical model: a challenge for biomedicine. Science 1977; 196:129-136. 3: Engel GL. The clinical application of the biopsychosocial model. Am J Psychiatry. 1980 May;137(5):535-44. PubMed PMID: 7369396. 4: Campbell WH, Rohrbaugh RM. 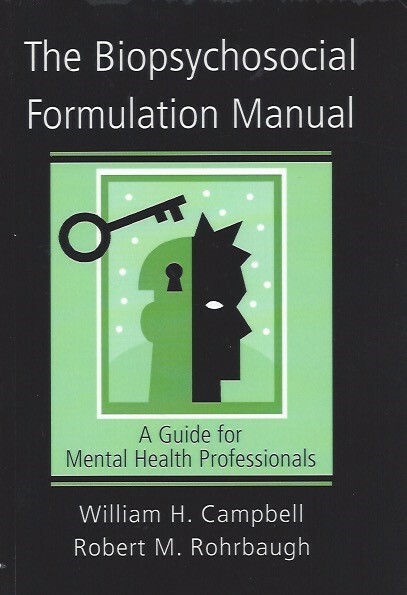 The Biopsychosocial Formulation Manual. New York, Routledge Taylor & Francis Group, 2006, 164 pages. 5: Chisholm MS, Lyketsos CG. Systemic Psychiatric Evaluation. Baltimore, The John Hopkins University Press, 2012, 243 pages. 6: Ghaemi SN. 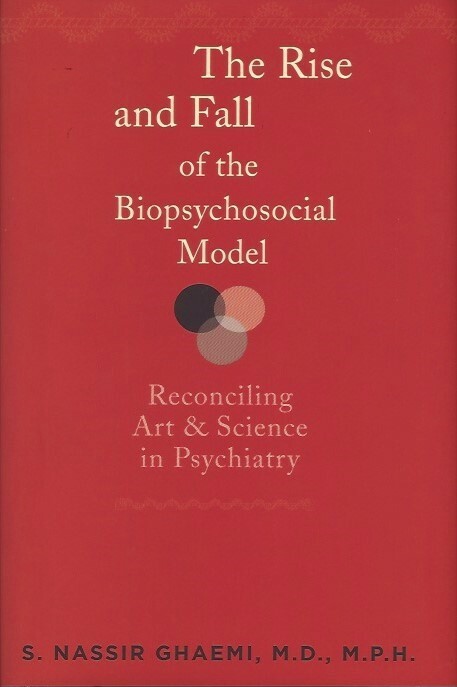 The Rise and Fall of the Biopsychosocial Model. The John Hopkins University Press, 2010, 253 pages.